The Ziama Forest is a remote and vital tropical forest ecosystem in the mountainous highlands of south-eastern Guinea and extends across the border to Liberia. 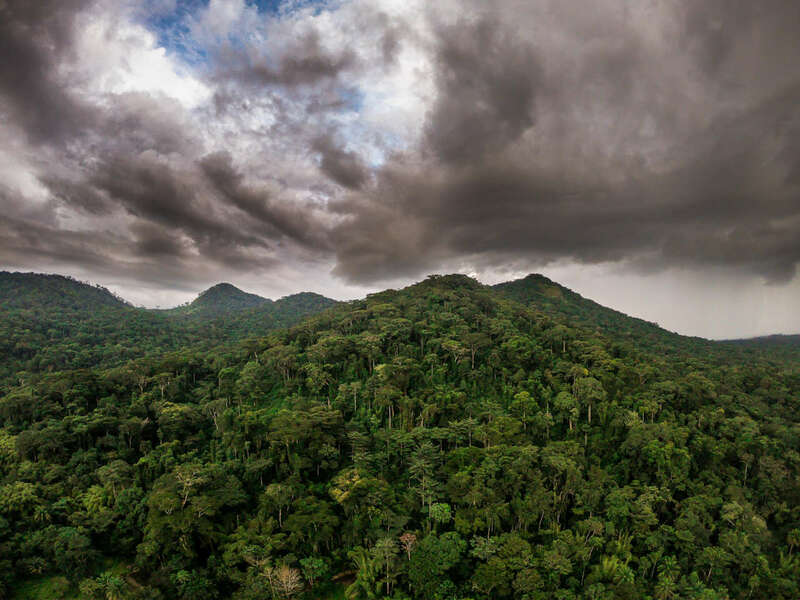 Renowned for its incredibly high levels of biodiversity, boasting more than 1,300 species of plants and more than 500 animal species, the Ziama Forest ecosystem boasts pristine and dense primary and secondary mountain forest. Due to this richness of the ecosystem it is home to a great number of Africa’s threatened mammal species, including chimpanzees and the only viable forest elephant population in Guinea – a crucial population of approximately 200 forest elephants remaining. Guinea is the source of 22 West African rivers, including the Niger, Gambia, and Senegal Rivers. Protecting the forests that act as watersheds for these rivers is crucial for the health of wildlife and humans alike. The south of Guinea contains important remnants of the Upper Guinean forest that used to cover the entire region of West Africa. The biodiversity under the lush forest canopy is stunning – elephants, chimpanzees and many more endangered species, including 22 species protected by CITES, all rely on this unique habitat. The Ziama Forest, and the wildlife which benefits from and sustains this important ecosystem, is under threat. Agriculture has begun to encroach upon the Ziama Forest Biosphere, replacing pristine ecologically-rich forest landscapes with farmland. Habitat destruction in the form of forest clearing for agricultural development timber extraction, together with the ever-present poaching threat that accompanies these activities, threatens the survival of both the forest and the elephants which call it home. The forest elephants in Ziama are the last remaining forest elephants in the Republic of Guinea. The rangers on the ground are the elephant’s last hope of survival in a region where resource extraction takes priority and poaching is rife. Protecting this group of forest elephants will be vital for the genetic biodiversity of forest elephant populations in the future. In addition, it is now accepted that forest elephants play a vital role in seed dispersal. Forest elephants disperse seeds over much larger distances than any other vertebrate dispersers moving over 80% of seeds over 1km from the parent tree and consistently moving seeds over 5km. The extinction of forest elephants will drastically, if not totally, affect tree seed dispersal and thus the forest habitat across Central and West Africa. The African Forest Elephant Foundation successfully delivered boots, socks, backpacks and solar rechargeable flashlights to a group of 30 rangers protecting Guinea’s last forest elephants. Check out our trip report here. 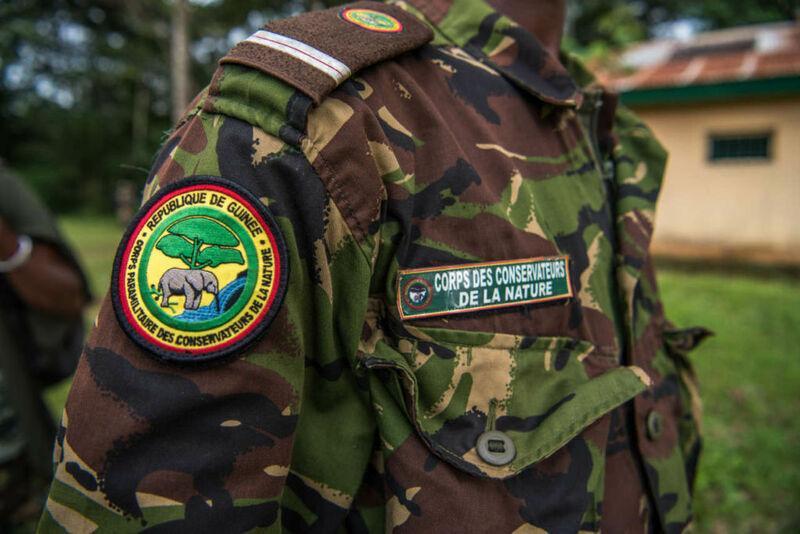 Following the success in 2018, AFEF will be delivering additional equipment to the Ziama rangers to help protect Guinea’s last forest elephants. In collaboration with our project partners additional equipment was identified to further improve anti-poaching and bio-monitoring efforts on the ground. AFEF is now in the process of donating high quality camera traps, GPS units and camping equipment to enable rangers to both conduct longer multi-day anti-poaching patrols and more effective forest elephant bio-monitoring.